Europaviertel: vibrant living in the heart of Frankfurt. The Europaviertel is one of the biggest and most significant inner city urban developments in Germany. Located between the Exhibition Centre and the banking district, it seals an urban loophole by connecting central Frankfurt with the city’s green outskirts in a very natural way. With its contemporary blend of residential units, offices, restaurants, event spaces and retail outlets, the quarter promises interesting possibilities for employees and residents as well as investors from Germany and abroad. In future around 30,000 people will work in this vibrant city district, and as many as 10,000 will reside here. CA Immo developments are focused on the eastern part of the new quarter closest to the city. The Europaviertel project made a striking start with Tower 185, which was developed by CA Immo; Tower 185 is in fact one of the company’s most successful development projects. The 190-metre office and hotel high-rise ONE is currently under construction. 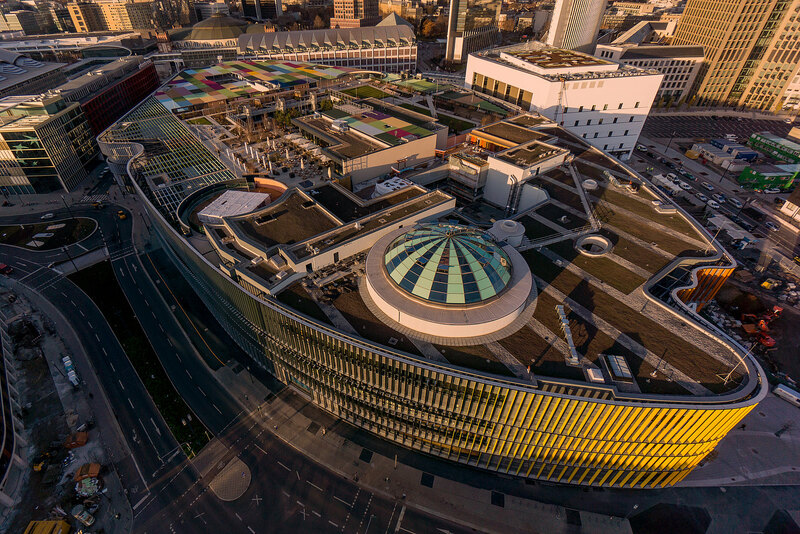 Within the site, CA Immo also constructed two hotels, two residential complexes, the Europa-Allee 22 office building, the Skyline Plaza shopping centre and the Kap Europa congress centre. 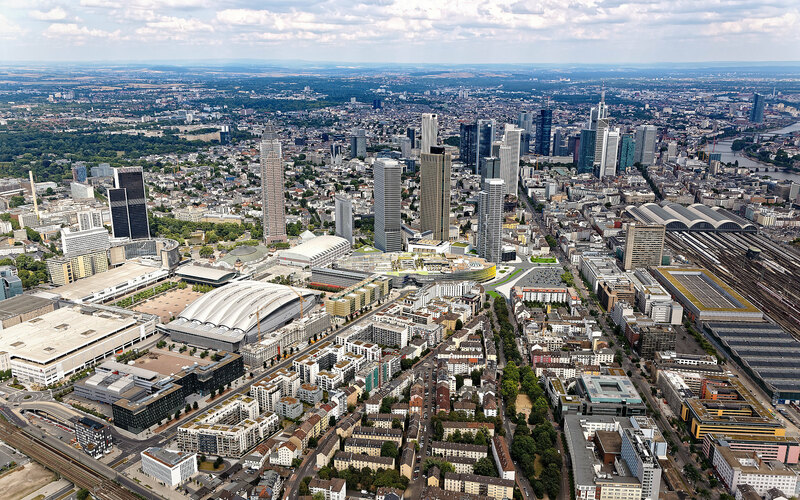 Thanks to its solid blend of usage types – modern offices, fresh residential concepts, international restaurants, ideal range of convenience stores, top-rated hotels and social facilities – the Europaviertel has emerged as an urban quarter for the future. 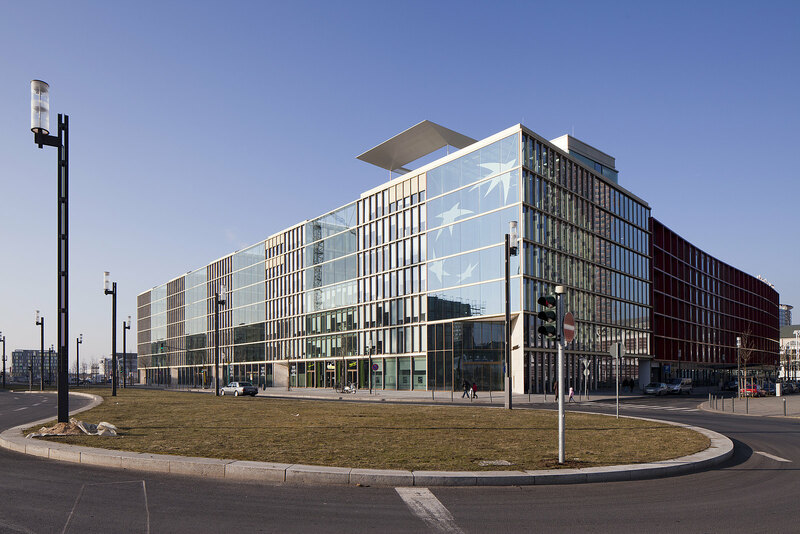 Reputable companies such as BNP Paribas, PwC, Bayerische Versorgungskammer, Mövenpick, Realgrund, Meininger Hotel, Union Investment, Allianz, Dormero, Strabag and Züblin have moved into the district as tenants, users and investors. 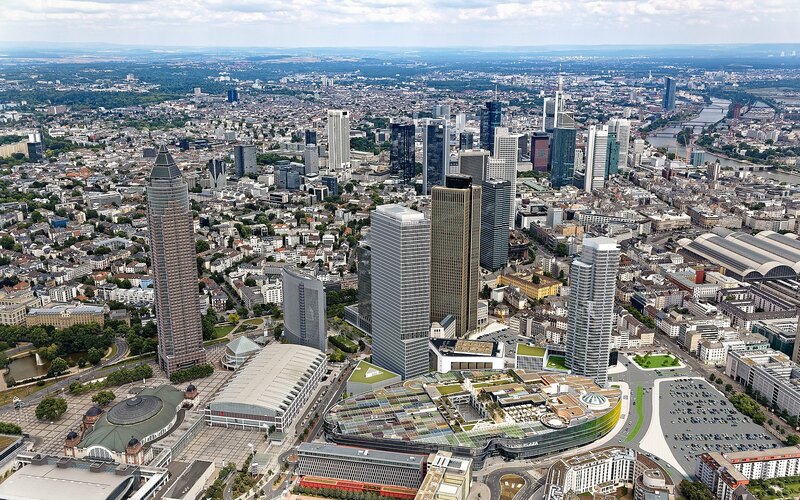 Incorporated into existing transport networks and green belts, this thriving new quarter of Frankfurt has boosted the city’s international image substantially. With the city centre within walking or cycling distance and the main station just around the corner, Europaviertel is ideally connected. The eastern part of the new quarter is easily accessible via S-Bahn trains, U-Bahn underground lines or buses. Frankfurt Airport is just 10 minutes away, and all major motorway connections in the Rhine-Main region are on the doorstep. Do you have any questions, or need more information on the Frankfurt Europaviertel? Simply contact us! Between the inner city and city outskirts. Adjacent to the Exhibition Centre, close to Frankfurt main station.